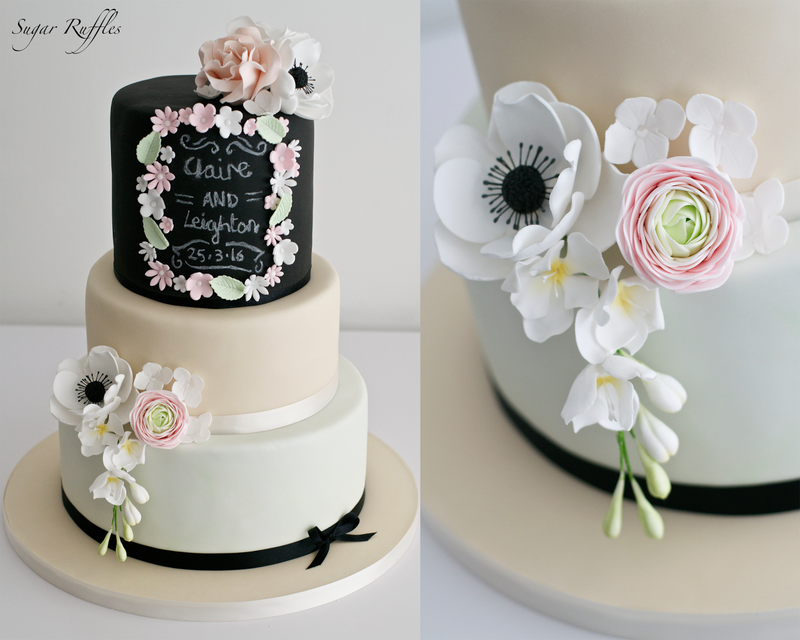 A 3-tier wedding cake with a chalkboard effect top tier created for the wedding of Claire and Leighton at Broadoaks Country House Hotel. The cake featured sugar flowers to match the bridal flowers including ranunculus, anenomes, freesia and roses. The flavours chosen by the couple were chocolate, vanilla and gluten-free red velvet.